The pancreas is a vital organ and is of central importance for digestion and blood sugar regulation. Production of various digestive enzymes with the help of which carbohydrates, proteins and fats are broken down in the intestines. Endocrine function: Production of hormones like insulin and glucagon, which regulate the blood sugar level. The pancreas lies in the centre of the upper abdominal area between the spleen, liver and stomach in a C-formed loop of the duodenum. It is firmly attached to the back abdominal wall and connected to the gall bladder. 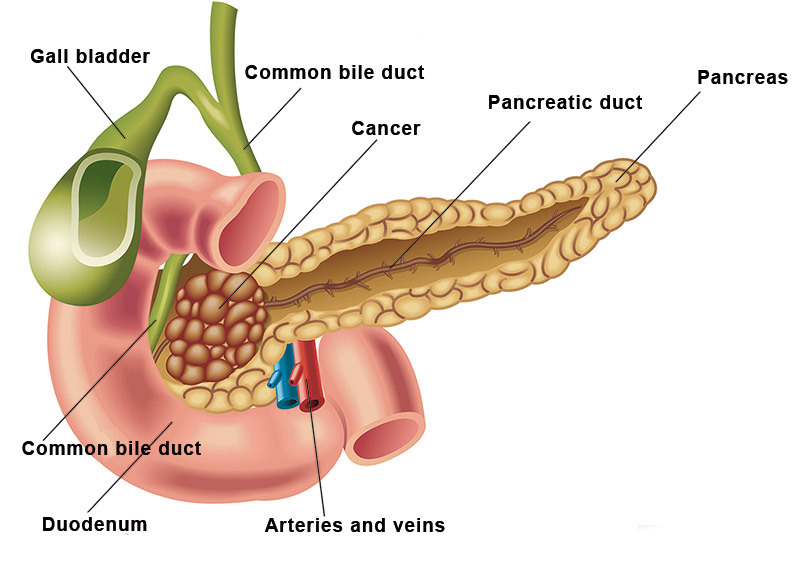 The pancreas can be divided into 3 parts: the head, the body and the tail. It is 15 – 20 cm long, about 3 – 3.5 cm broad and weighs approximately 60 – 70 grams. Three blood vessels feed the pancreas: the abdominal aorta, the intestinal artery and the splenic artery. In short: the pancreas is: “a small gland with major impact”. What is pancreatic cancer, how serious is the illness? 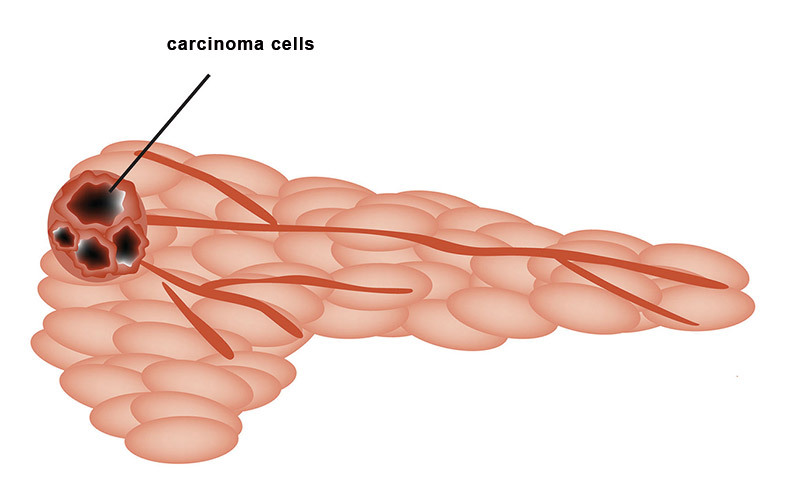 Pancreatic cancer develops when cancer cells multiply in the gland and form a malignant tumour. 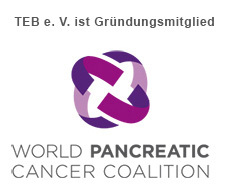 Pancreatic cancer is the fourth most common cancerous cause of death in Europe at the moment. Unfortunately pancreatic cancer has the worst rate of survival of all types of cancer. The symptoms of pancreatic carcinoma are relatively uncharacteristic and usually only occur when the disease is more advanced. Pancreatic cancer seldom causes pain initially and there's no preventive treatment yet. Often it is diagnosed by chance, or only after pain occurs. In most of the cases, the tumour is already more advanced by the time the illness is diagnosed. If no corrective action is taken, pancreatic cancer will become the second leading cause of cancer-related death by 2020.